Interior screens block 95, 97, or 99% of the sun’s rays. Certain Screen fabrics will do less, if desired. 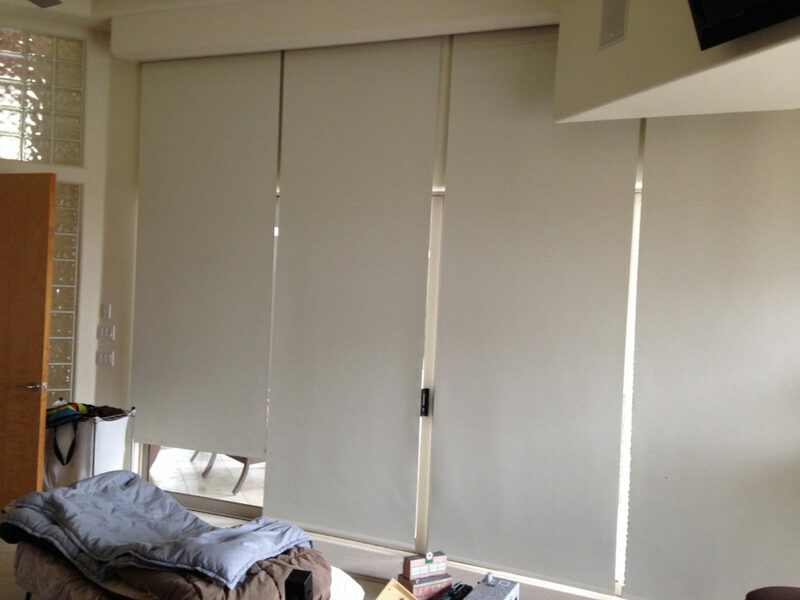 Interior shades can give you privacy or blackout. With the many various fabrics now available for interior shades almost anyone’s needs can be fulfilled. The most important fact to remember about any screen or shade is: Anything you do outside the glass is seven times more effective than on the inside. 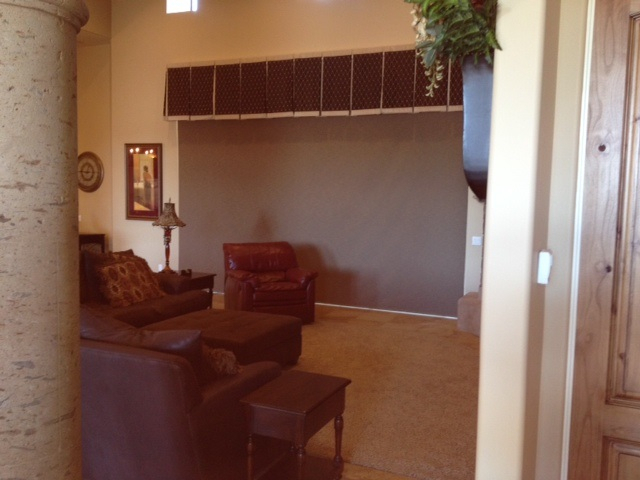 Having said that, why do we have both Interior and Exterior Screens and Shades? 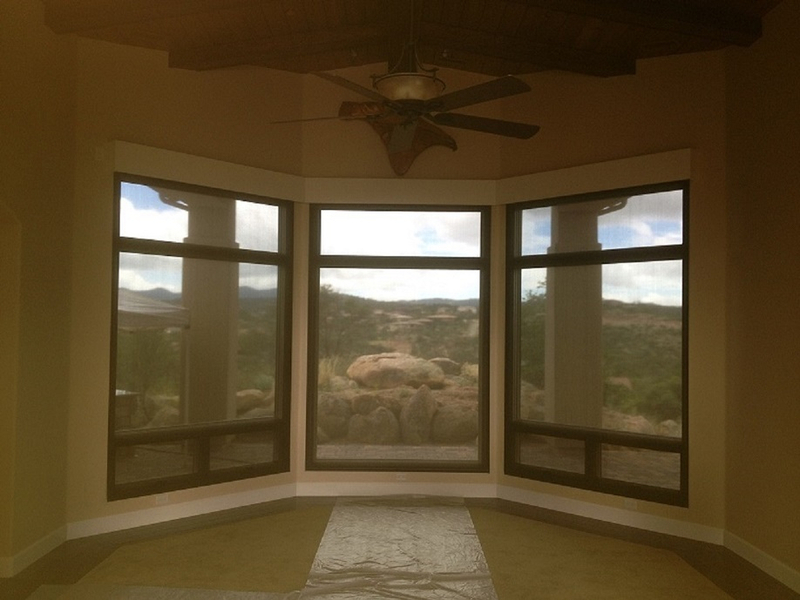 There are numerous reasons why you cannot put screens on the outside of a home or building. Architecture is the most significant. High wind areas, mountainsides and arroyos come into play also. Exterior Screens are only seven times more effective if they are down and in these areas they are liable to be up more than they are down, unless they are Zipper screens. 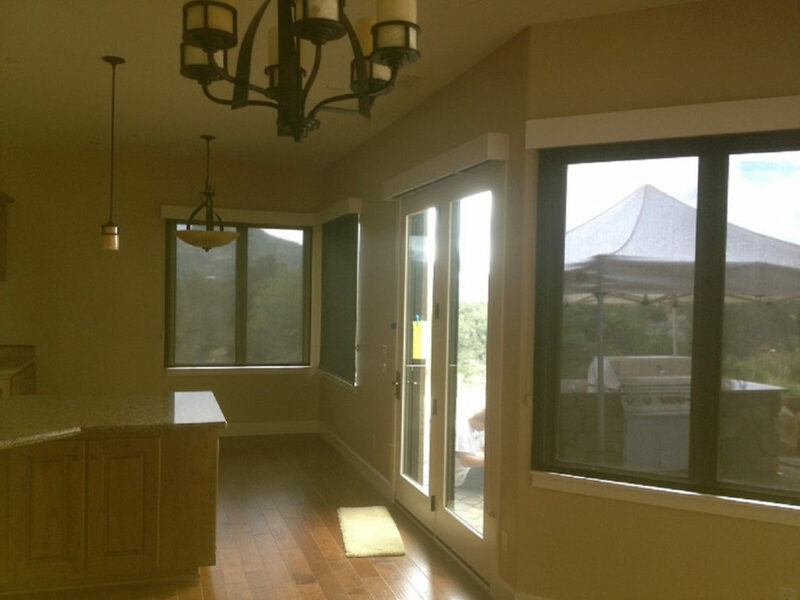 When you have INTERIOR SHADES you still stop REFLECTIVE HEATGAIN, FADE AND GLARE. And that is extremely important for your furniture, floors and cabinets. Along with just being cooler because you are in the shade. 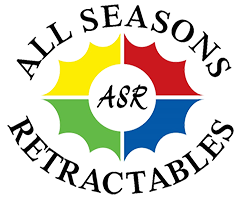 Lighter colors reflect more heat, darker colors absorb more heat. But with either one the heat that comes in the glass will rise up, go through the open fascia and go to your air return. You have to be aware of the fact that if you have a lighter color fabric and it’s being used for an area to shade a TV or computer monitor it will not eliminate the glare. All you will see is a large white area on the screen. If you are sitting in a chair near the window when the screen is down and the sun is hitting it you will still be blinded by the glare. The darker screen would eliminate almost all of that. The darker the color of the screen the EASIER IT IS TO SEE THROUGH IT. And it’s the CLEANEST APPEARING. When looking through the dark color it’s like having on a pair of sunglasses. With the lighter color, every little hole fills with reflective sunlight blocking your view. Both of these situations are when the sun is hitting the window and your screen is down. From the outside when you have the lighter color screen down everyone knows it’s down. If you are gone for an extended period of time everyone knows it. From the outside with the darker color it still looks like glass giving the illusion you are home. The darker color is not any cleaner, it just appears to be. Look at your standard bug screen on your home (which is dark grey or charcoal for the same 3 reasons above). It doesn’t appear to be dirty until you run you hand over it or brush against it. Also, even with the Interior Screens, the sun will cook the screens and over a relatively short period of time causing the screen fabric to have brown streaks on it. This is only on the side facing the glass. You would never see it on the darker screens. To cool your home, be more comfortable watching TV or just sitting by a window, have day and night privacy or complete blackout for a baby’s room or daytime sleeper Interior Screens Or Shades are your answer. There is an answer for all your INTERIOR SHADING needs.